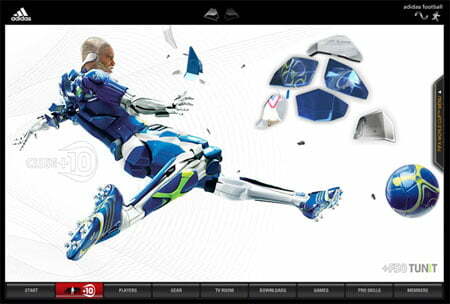 The adidas +F50 TUNIT modular football boot will take the game of football into a new era. Allowing players to customise and tune their performance to full effect, this is a football boot that can be any boot the player wants it to be. With the concept of modularity at hand, we needed to create a site that captured all the technical benefits that this boot will come to offer. The challenge was to bring this technology to light, and show all players the effects that this football boot will have on their game. Creating a site that brings the technology of the future to the football game of today. Using advanced motion capture design and 3D-modelling, the +F50 TUNIT is presented in the shape of a future football player, The Modular Man. Combining pre-filmed movements with scanned faces of the stars of today, the movies show the Modular Man players with the +F50 TUNIT in action. 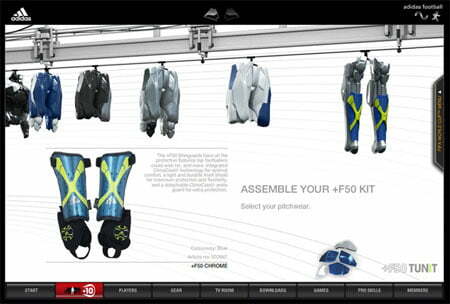 A technically advanced and beautiful site that equals both the technology and the design of the +F50 TUNIT. 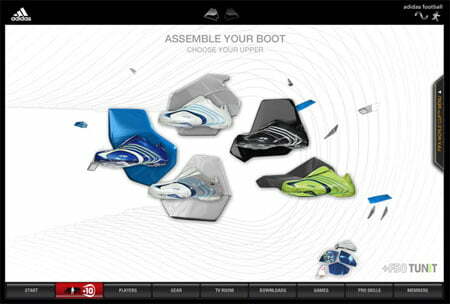 The rapid movies in combination with the dynamic flash production allows visitors to freely explore the boot, assemble it themselves and view each component in detailed images that highlight their technical benefits. A competition furthermore challenged for artistic freedom, encouraging visitors to download their own design kits and create their own vision of the +F50 TUNIT. 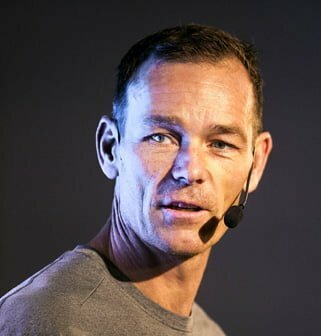 Johan Ronnestam is widely regarded as one of Sweden’s leading speakers and authorities in the field of modern creative and conceptual thinking and skill of innovating brands and their communication. Follow me on Instagram. Add me on LinkedIn. Contact me on my contact page to inquire about consulting or speaking assignments. This work by Johan Ronnestam is licensed under a Creative Commons Attribution 3.0 Unported License.